With over 16 years of experience in the Southern California area, using the latest technology, Machado is your indoor air quality experts. Whether you are a County Hospital or buying a house, get experience on your side. Call 1 800 358-3828 and ask for Stephen Huff. We can check for dangerous and potentially lethal gases like carbon monoxide (CO). This is not to be confused with carbon dioxide (CO2), which for the purposes of IAQ helps us to determine if there is sufficient air change in the areas monitored. Our moisture meter is non-intrusive and helps to determine if there is excessive moisture inside walls that could foster mold growth. Surface samples are taken using sterile swabs or tape lifts mounted on microscope slides. Tape lifts can be analyzed for mold or dust composition. Air samples are taken using Air-O-Cell cassettes and can be taken from ambient air or from wall or ceiling cavities. Dust samples from carpets are taken using a different kind of cassette and can be analyzed for fungi and bacteria. We also use a cutting edge technology whereby we take a settled dust sample that is analyzed on the site for molds most commonly found in water damaged building materials. This methodology can detect if there has been a history of mold contamination. 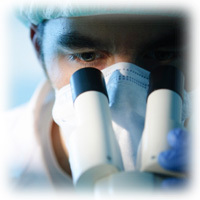 We use only certified laboratories for our microbial analysis or analysis for other contaminants. They are recognized as some of the top labs in the country. 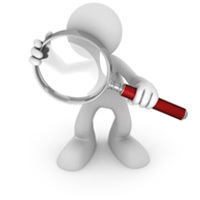 Finally, you receive a detailed report containing lab reports, photos and recommendations if applicable. Get indoor air quality experience on your side and resolve your indoor air quality concerns. Call Stephen Huff at 1 800 358-3828. "Machado Basic Indoor Air Quality Health Check"
Call us now at 1 800 358-3828 to find out more!